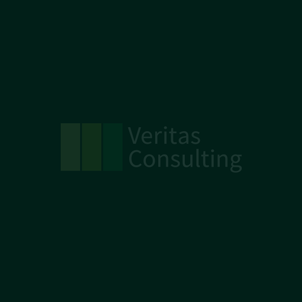 Veritas Consulting is a pure health and safety and CDM Coordinator consultancy. We operate in all sectors of the United Kingdom. A corner stone of our business is the provision of CDM Coordinator and other Health and Safety related services. It is our intention to provide a no fuss CDM Coordinator Services that compliments the requirements of the team and the project, with a CDM C service that looks beyond the CDM Coordination; drawing on our experience of similar projects. Upon appointment Veritas Consulting would organize a series CDM reviews and implementation workshops to identify and agree the CDM requirements and deliverables for the project. This includes reviewing present safety legislation and offers an interpretation and perspective sufficient for each designer to understand their duties and obligations; this being particularly appropriate for items such as façade access, plant replacement strategies, cleaning and maintenance regimes. The process culminates with reviews of the proposed works, considering the physical constraints of the buildings involved identifying key safety issues and the risks associated. As an option this can then be incorporated into a CDM risk register as a precursor to establishing whether the hazards could be eliminated by design; or then if this is not reasonably practicable looking at methods of combating the risks at source. Following these workshops, as the design progresses we hold regular design review meetings to ensure that the designers are giving regard to avoiding risks to health and safety, combating sources of risk and giving priority to measures which protect persons at work during construction and cleaning and maintenance activities. Via this mechanism we assist the team to deal with issues to help bring the project in line with the requirements of prevailing legislation and end user expectation. Client and project manager briefings would also be held to agree reporting requirements, attendance at meetings and the execution of the commission. We also like to discuss any FM requirements for the completed works and any integration with standing requirements for health and safety files or operating and maintenance manuals or other maintenance regimes the client may have so that we might start to progress them sufficiently to define the clients requirements and ensure as we move to a tender process that we have identified the necessary requirements to deliver the right solution. In the same way that consideration is given to design, thought must also be given to ‘buildability’ issues. Common to our obligation to ensure that a health and safety file is produced is our philosophy to ensure it is available at the time of practical completion, this we see as a function of our responsibilities during the entire project making sure that the file is not a ‘last thought’ and barely fit for purpose. The document needs to be thought about at the start of the project and the progress reported against at all stages with the document presented in whatever format the end user requires. Some of this is reflected in our overall methodology but of particular note from our perspective would be a design solution that deals with issues such as the physical condition of the building, occupancy levels, escape routes and compartmentalization etc; consideration of clear and defined cleaning and maintenance strategies so the client can easily implement them in accordance with current Workplace H&S legislation. Designers are required under the CDM Regulations to eliminate or reduce the risk involved in construction, cleaning and maintenance. (a) How the design can be built and erected safely. (b) Where work at height cannot be avoided, design in edge protection or other features that expedite safe access and erection and/or anchorage points, etc. for nets or harnesses; and early installation of permanent access. (c) Designing to minimize health risks with materials. (d) Designing to simplify future maintenance and cleaning work. During construction ongoing issues such as the use of dense blocks, heavy lintels and materials, working from height is either eradicated or kept to a minimum, avoiding where possible hand vibration syndrome operations, avoiding the use of scaffolding (an acknowledged poor performer for health and safety). Consideration also needs to be targeted to workplace separation of pedestrian and vehicles transport, protection against noise, dust and vibration through the buildings. Appropriate health and safety systems falls into a number of areas, these being those implemented during the design stage, those to deliver safer ‘buildability’ and those that the client and end user of the project inherit. End users of a construction project need to be able to use the building and ensure that they can implement a safe system of work for their employees that comply with prevailing workplace legislation. These can be covered in the designer’s contract, but the CDM coordinator needs to be particularly careful to ensure that the design has properly addressed the hazards and any designer’s risk assessments for cleaning and maintenance are identified in the health and safety file. It has been a great pleasure to have such kind of information on your blog and to get info out of it as well..
CDM Coordinators Fees – how much do they cost?